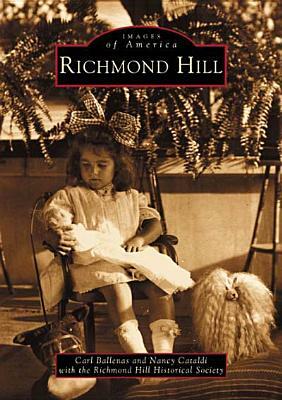 Richmond Hill evolved after the Civil War on land where orchards once blossomed and cattle once grazed. Nestled in the shadow of New York City, it is one of the city's first planned communities. The Victorian era saw the construction of Queen Anne-style mansions, and the opening of the Brooklyn Bridge in 1883 brought expansion and increased traffic. Soon, newspapers began boasting about the many parks, grassy lawns, tasteful homes, and proud residents heralding a promising future. Richmond Hill contains more than two hundred vintage photographs to illustrate the unique history of the community. The oldest eatery in Queens, the Hofbrau Restaurant, was the favorite hangout of Mae West, Babe Ruth, and many others. Baseball great Phil Rizzuto made Richmond Hill his home, as did the Marx Brothers, author Ameila Edith Barr, and photojournalist Jacob Riis. Important political events took place in Richmond Hill, such as the newly rediscovered address made in 1903 by Pres. Theodore Roosevelt, as well as cultural milestones, such as the composition of "When Irish Eyes Are Smiling" at the Hofbrau Restaurant. Richmond Hill includes these and countless other stories that make up its rich, unique history.